As part of our maths learning, every morning we have been counting up how many days we have been at school. Each day we make number sentences for the number of days we have been at school and we talk about the place value of the number (how many tens and ones). 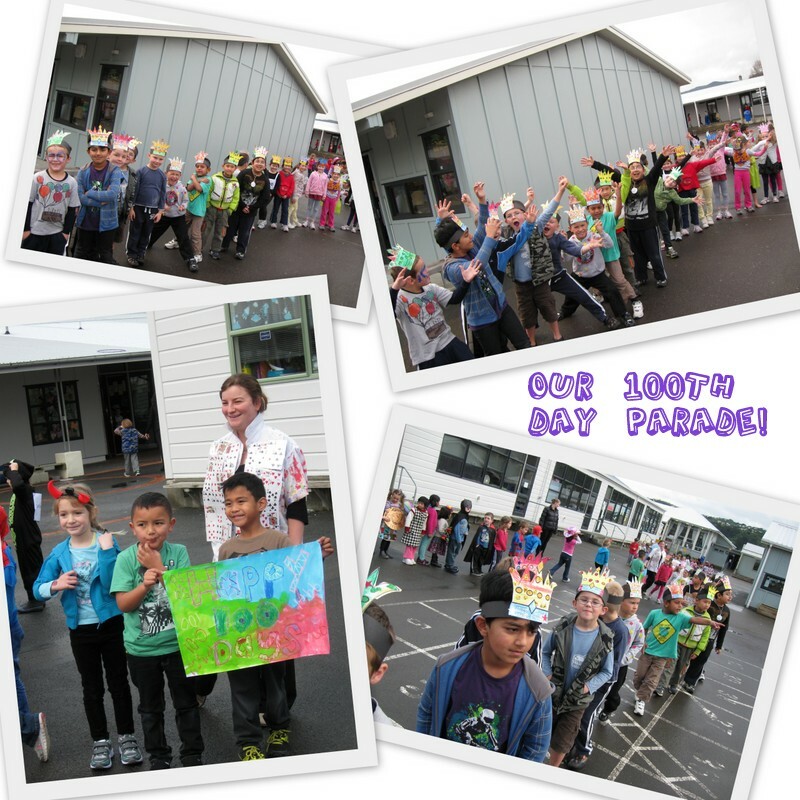 On Tuesday it was finally our 100th day of school. We had been looking forward to it for a long time. 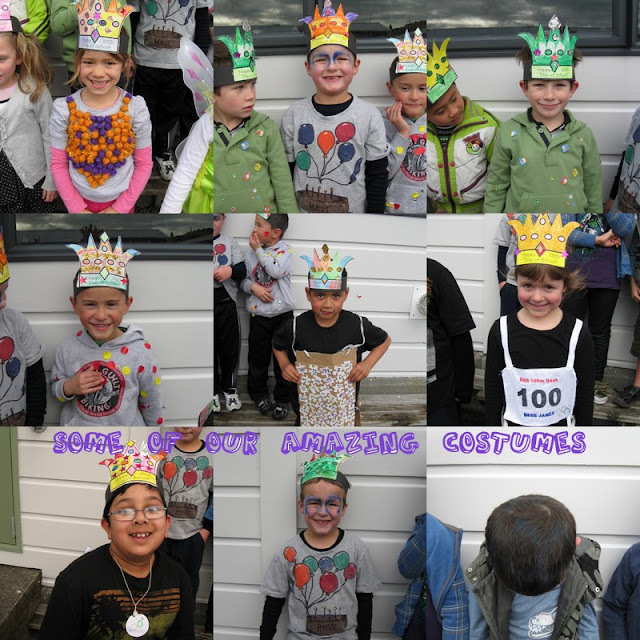 All of the junior classes celebrated by dressing up and doing lots of activities related to the number 100. In B4 we skip-counted to 100 in lots of different ways and counted 100 objects. We also wrote stories about what we would look like and do when we are 100 years old. Here are some of the pictures from the day. Lots of us were very creative with our costumes!